It's Movmeber everyone! The month to grow out those moustache's to raise money for charity!! The cool people over at Sega are also getting in the mix, currently going head to head against each other in a USA vs UK Rivalry. Currently as it stands, the American Sega have raised an awesome £2076, while the UK counterpart is lagging behind with a small £305 raised. 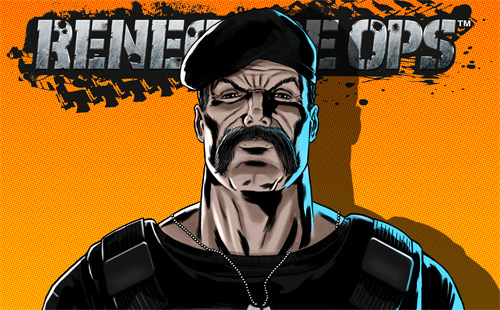 Also to support the cause, General Bryant from Renegade Ops shows up everyone with his impressive moustache showing clearly how it should be done! So it's UK vs USA and us British gamers have to do what we can to make sure the UK comes out on top! We can donate easily through this link - http://bit.ly/RenegadeMOps do it for prostate cancer, do it for the honour of the empire, and do it to finally expunge the shame of finishing one place below them in the last World Cup. Do it for gaming!